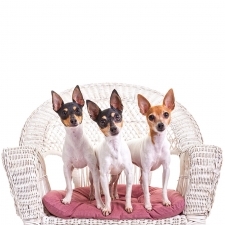 The Toy Fox Terrier was bred directly from the Smooth Fox Terrier, which was crossed with various toy breeds such as the Miniature Pincher, Italian Greyhound, Chihuahua and Manchester Terrier. They were first developed to eradicate vermin and to rout foxes from their dens. Today, owners prize them for their frisky clowning and outgoing personality. Wow, what a great dog! 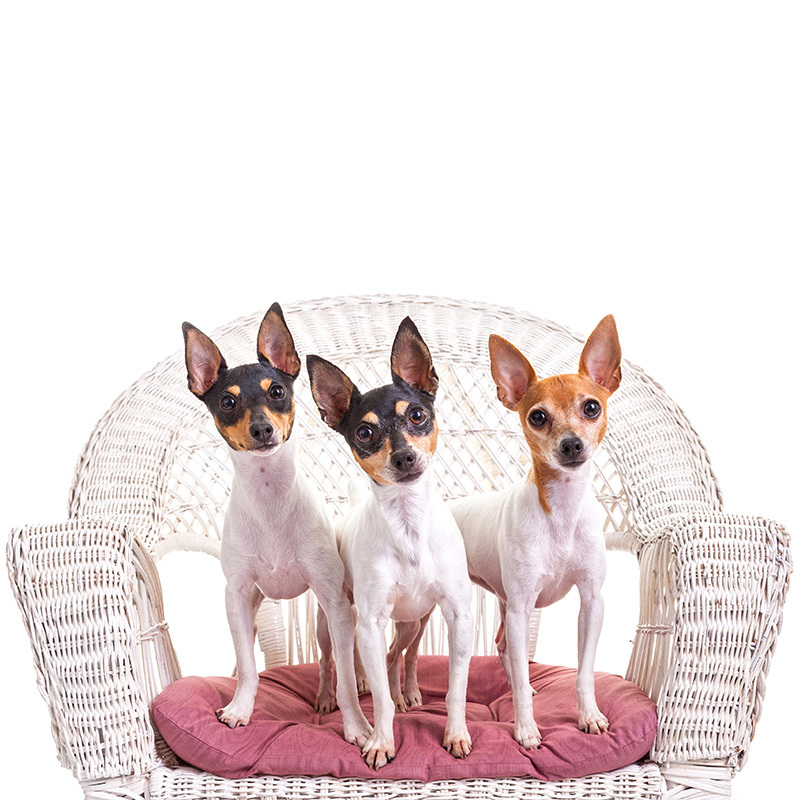 The Toy Fox Terrier has been described as courageous, outgoing, friendly, funny, entertaining, alert, spirited, determined, fearless, and fiercely loyal to their family. They are very intelligent and quick to housetrain, which is rare in most toy breeds. Toy Fox Terriers are curious and active and retain their young spirit throughout their entire life. They are superb watchdogs and will alert you to strangers, as well as to all the things going on in the neighborhood. They have unending energy and a zest for play. They love to cuddle, go on walks, and entertain. This happy dog makes a wonderful family pet and is sure to put a smile on the faces of all who meet him. Toy Fox Terriers usually weigh between 3.5 to 7 pounds and stand approximately 9 to 11 inches tall. This is a small dog with a muscular, compact build. Their coat is short, slick, and a breeze to groom. Their color is usually tri-colored with white predominating. Some Toy Fox Terriers have been trained to assist handicapped and deaf people around the home by fetching and picking up objects, and to bark on command to alert for help. For people in wheelchairs, these dogs give their owners increased independence. Many owners say that Toy Fox Terriers can anticipate your thoughts and seem to understand what you say. They will even try to speak with you, and expect you to know what they’re trying to tell you in return.